Oh the Bear! The Bear! Feed the Bear! Feed the Bear! 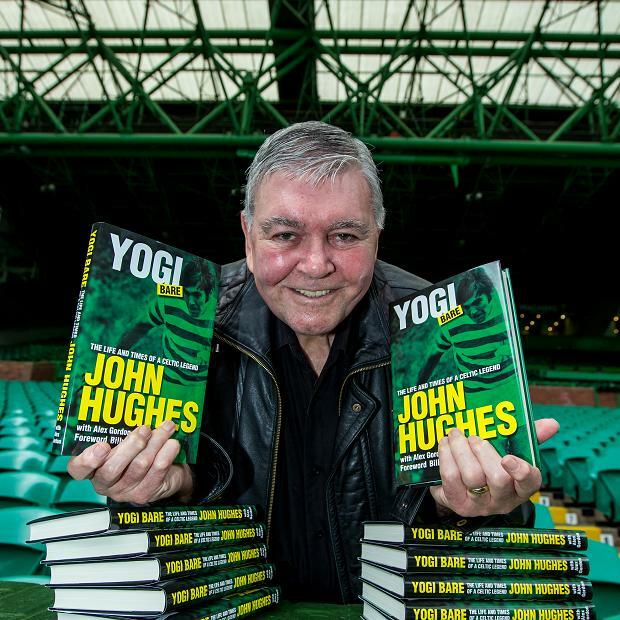 I had been looking forward to this book by John Hughes, the popular striker of Jock Stein’s Lisbon-era squad known to all as ‘Yogi Bear’ and feted by the Celtic support with the original chant of ‘Feed the Bear’. The Coatbridge bhoy was a fine goal-scorer with an unusual style known as much for his thrusting runs and fierce shooting as his maddening inconsistency at times. He missed out on Lisbon itself through injury but played in the club’s other European Cup final in 1970 and, having made his Celtic debut aged only 17 in 1960, should have a wealth of great stories and memories to share of the club’s golden era. What could go wrong? Now that’s curious, because in the book itself Yogi goes out of the way to deny this: “I repeat I am not a bitter guy.” Yet he says it so often, after yet another bitter outburst, that he quickly loses all credibility. Was he finished at 28 as he claimed in the Record? It turns out that he is as inconsistent off the field as he was on it at times. He left Celtic at 28 but then had two seasons at Crystal Palace before joining Sunderland where a persistent knee injury brought the curtain down on his career. But we shouldn’t let the facts get in the way of a sustained assault on Jock Stein’s reputation . . . There is clear anger that Stein sold him to the London club when the player’s view was that he had plenty more to offer. But if Jock Stein decided that playing young strikers like Kenny Dalglish and Lou Macari the Quality Street Gang was a better strategy than sticking with a player regarded by all and sundry as inconsistent and nearing 30, that’s a decision that was entitled to take. Yogi wonders if his failure to score an easy chance in extra-time in the 1970 Final v Feyenoord might have had something to do with it – it’s hard to escape the conclusion it did. Bearing a grudge about his exit from Celtic Park over four decades later cannot be healthy however. Given that he chose not to attend his former manager’s funeral in 1985, it unfortunately doesn’t come as a huge surprise. The attack on Jock Stein doesn’t end there. There is anger at being forced to join Crystal Palace without negotiating with other clubs and also at Stein’s decision not to advise him while away on a foreign tour that his wife had suffered a miscarriage back home. As others have pointed out, those were different times – Managers had almost complete control over transfers in the absence of agents and men were rarely directly involved in pregnancy-related issues. The story told in the book regarding the miscarriage highlights Stein’s apparent insensitivity. It’s a shame the story wasn’t put in the public realm while he was still alive to give him the opportunity to respond to it. At the very least, in response to the stinging criticisms made, Stein could have pointed out that John Hughes hadn’t won a single medal before he arrived, that stuck with him through the regular periods when he lost form and even recommended Yogi for his first management post – all facts which are, begrudgingly, admitted in the course of this book. 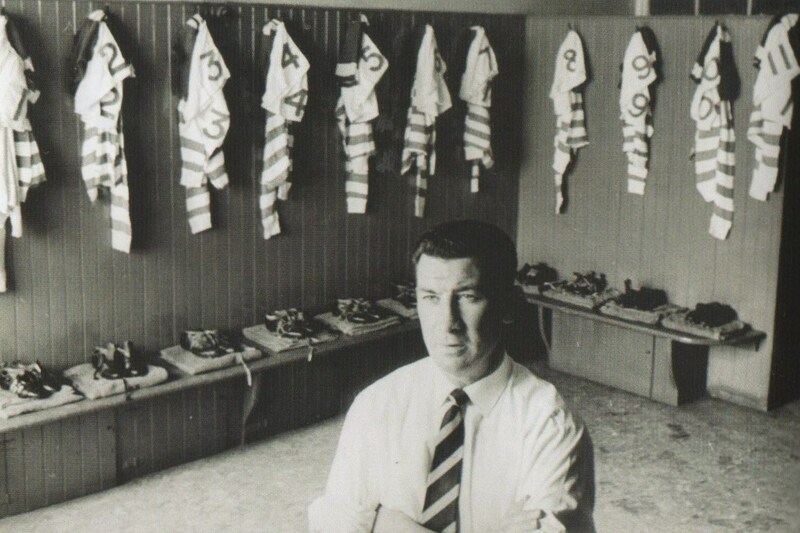 Sean Fallon clears the Celtic dressing room of errant schoolboys . . . Yet Sean Fallon was never the manager and it was known to the players that chairman Bob Kelly picked the team – yet Yogi’s ire is directed solely at the Irishman. Despite everything that you’ve heard or been told previously about Sean Fallon you are now meant to be believe that he was unapproachable and uncaring. And if you think that’s far-fetched, what about this: “Sean Fallon had a lot of power in team matters and would even lock Jimmy McGrory out of the dressing [room] on some occasions.” It’s one thing re-writing history to try to undermine the popular picture that has emerged of Sean Fallon as a fair and decent man; it’s something else completely to suggest that he would lock the elderly McGrory out of the Celtic dressing room. You might be forgiven for thinking there’s a theme emerging here: Sean Fallon, of course, is also not around to defend himself from these ‘new’ five decades-old allegations. There is more than one flight of fantasy in this autobiography. Intriguingly, the story of how Big Yogi almost became a Juventus legend wasn’t featured in the Daily Record promotional pieces. I wonder if it was because even they didn’t think the story held water. “John Hughes of Juventus. Doesn’t sound right, does it? 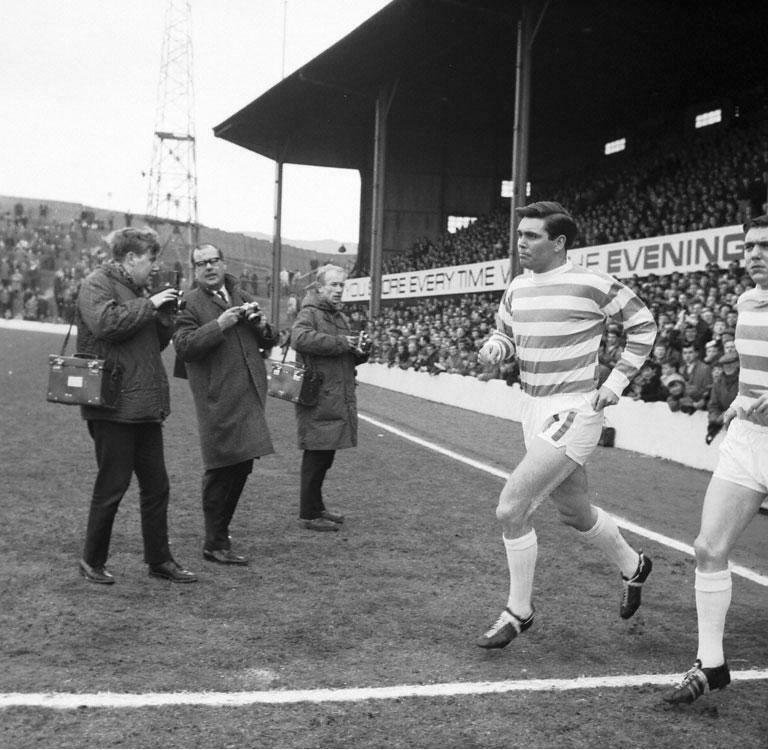 Yet that could have been the case at the start of the sixties, remarkably only year after I had broken into the Celtic first team.”Something certainly doesn’t sound right. How often had the Juve spies watched the young Hughes in action? How much lira were they prepared to stuff into Bob Kelly’s biscuit tin? We don’t know. What we do know is that a Scottish reporter once asked him if he’d heard of Juventus and that they were keeping tabs on him. Was the young Celt interested? No, he advised the reporter. And that’s basically the entire story. Even Nacho Novo’s agent couldn’t have made up a better one. Sourness is a constant feature in the John Hughes story, unfortunately, and it bookends his career. He believed he was due to be picked for a Scottish schoolboys international in the 1950s against England at Wembley, only to lose out to a striker from Helensburgh: “Yes, Helensburgh, that hot bed of football” moans Yogi, as if the fact he was from Lanarkshire and not the wilds of Dumbartonshire should have guaranteed his selection. When his playing career appeared over he was approached by former team-mate Bertie Auld, then managing Partick Thistle, to turn out for them. 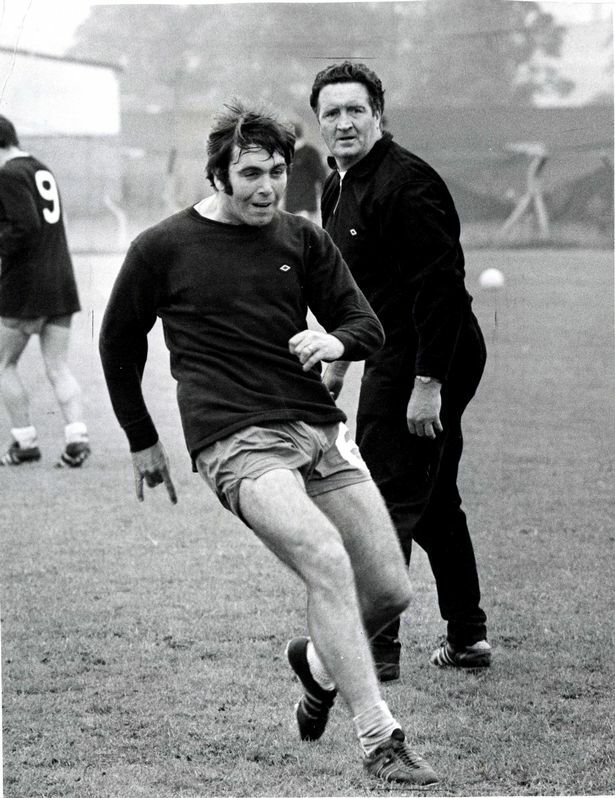 Yogi was surprised at the approach: “This was the same Bertie Auld who only passed the ball to me when he didn’t have other options!” Again, another double-take is required. Is he seriously suggesting that in the hundreds of games they played together winning every trophy on offer in Scotland Bertie refused to pass to him? Doesn’t he think this might have been noticed? The book is littered with criticisms of his team-mates at different times although he’s far less keen to discuss his own shortcomings: “Please do me a favour and let’s get rid of the annoying inconsistency tag once and for all . . . I had to be reliable to get into any of Jock’s line-ups. Hopefully, this will once and for all bring a halt to the wayward assessments and unfounded observations that my form was up and down like a yo-yo.” And yet, the abiding memory of most supporters who saw him play regularly was . . . inconsistency. They must all have been mistaken then. That’s certainly the outlook in Yogi’s world. Unfortunately ‘Yogi Bare’ has little to recommend it and I feel saddened to write that about a Celtic player’s memoirs. The book is at its best when recalling the great games he played and scored in. His scoring record in the Hoops is clearly a huge matter of personal pride, as it should be given that he’s in the top 10 of all-time Celtic strikers. The chapter on his experience of playing for Scotland is worth a read. Yet he has a knack of turning almost every positive into a negative and is a bundle of contradictions. He bemoans being underpaid at Celtic – yet criticises the enforced move to Palace where he doubled his wages. He says he doesn’t feel like one of the Lisbon Lions – yet he still attends functions as a Lion. He puts the blame for the failure to beat Feyenoord squarely at the door of Jock Stein – while saying that before the game “Most of us had already worked out how we would spend our win bonus.” If the manager was guilty of complacency in 1970, he wasn’t the only one. The book costs a whopping £18.99 and is self-published. Unfortunately it doesn’t appear as though it’s been fully proof-read with some glaring errors (Is Billy McNeill’s nickname really ‘Caesar’?) and typos at times. The writing lacks imagination and comes across as tired, especially in the later chapters. One example is when comparing the obscene amounts of TV money that exists in the modern game to his time, the author states: “Sky was merely something that was above your head in the seventies.” Witty banter, it ain’t. The book seems to have been issued for the principal purpose of boosting Yogi’s pension pot – and there isn’t even the consolation that a portion of the book’s profits are going to charity. That fact in itself is in keeping with this autobiography: it lacks charity in every sense. Previous PostCeltic Banners: New York Celtic Supporters AssociationNext Post35 years ago today: TEN MEN WON THE LEAGUE (tra-la-la-la-la)! I am afraid you have gone over board in your desire to have Mr. Stein uncriticised. Jock was a great manager but a flawed human being, and, despite Yogi’s sourness, he hits a few telling targets. BTW I am not trying to be smart but Billy was referred to as Caesar after a while. The original nickname of Cesar, after Cesar romero, kind of lost its reference point by the mid 60s and Billy’s demeanour was more Caesar like so he was thereafter known as Caesar, even by the Lions. I only found that out recently and you will see the same spelling in Tommy Gemmell’s new book too. The main point is that Yogi has a justified grouse against Jock. He was a regular scorer and selection despite his reputation for inconsistency and his career-ending injury was not a factor involved in his transfer. if you read Willie Wallace’s last book, you will have seen the same accusation about the transfer to Palace of Wispy too. Big Jock was sometimes too devious for his own good with players and he did get rid of good players too early. Big Jock had his faults; he cannot be diminished by facing up to them. Thanks for your post – some very valid counterpoints. I agree that, from the stories told, Jock Stein could be unfair, hard and even cruel at times where his players were concerned. But for Yogi to throw labels such as inhumane and corrupt at the man years after his death – when not a word was said in print in the many years between Yogi’s departure from Celtic and Jock’s death – seems cowardly. The same applies to his criticism of Sean Fallon. Jock’s management turned a team who hadn’t won a single trophy into European champions in two years. That wouldn’t have been achieved by treating the players like friends. If he felt it was necessary to move some of those players on to strengthen his team and mount a fresh challenge at home and in Europe, it was his call. The incredible record of 9 league titles in succession and 4 European Cup semi-finals in that period suggests his decisions – in terms of the Lions and the Quality Street Gang that SF principally developed – were right. I take your point re Cesar/Caesar but surely it was clarified many years ago by his team-mates who nicknamed him after the actor pre-Lisbon what the correct spelling was? The story about the car has been out there a long time. I could understand a Scottish journalist getting it wrong still but not one of those team-mates. I can well understand why individuals like Tommy Gemmell, Willie Wallace and Yogi would be unhappy about being moved on. TG has gone into print many times before with his criticisms of Jock, some of which were also unfounded. I’m not sure what’s changed in Tommy’s story in the nine years since his last biography was published. For former players to try and profit from making or re-making sensationalist allegations about the man who principally made their careers diminishes their reputation as individuals, not his. Excellent review of the book.But Yogi? Unlike the Murphy’s he definitely is a bit bitter and twisted. If I can follow up on your reply, I think you are still being unfair. The labels you complain about are down to the Daily Telegraph writers, these were not Yogi’s terms. I seem not to have made myself clear. Billy was originally nicknamed Cesar, after the actor, and that is how it should have been spelled at that time in the 60s. He came to be known as Caesar thereafter and that is how it should be spelled now. He has been known as and referred to as Caesar for much longer than he was Cesar,There is no error being made by Yogi here. There were veiled criticisms of Jock in previous books by Lions. You are concerned that it may be cowardice that these guys have waited till Mr. Stein was dead before elaborating on those veiled criticisms. That is a judgement call I won’t make as it is possible they felt they were showing respect while he was alive and continued to hold their peace in the immediate aftermath of his death. I know one Lisbon Lion who has not written a book but is very open in his criticisms of Jock and has had his views represented in books written by others. He does not think, and neither do I, that being honest about Mr. Stein can diminish him in any way for his football achievements. Nor do I believe that the Lions are diminished by their increasing honesty in later books. Mr. Stein remains a hero to me but he is not a plaster saint. I love the man; I do not worship the legend. For the record, I agree that John Hughes can come across as bitter and that it is arguable that Jock made the right decision with Wallace and Hughes transfer. Equally, though it is possible Jock was wrong. Yogi can cite the fact that we made two EC finals with Yogi and Wispy in the squads and we did not get past the semis and quarters in the 3 years after they left, before going into a long decline. I am pleased to see many people defending Mr. Stein’s reputation but, honestly, Jock can survive a few dents. settingfreethebears – I’m sure that you’re right that Jock Stein’s reputation could survive “a few dents”. God knows it’s been under serious attack from bigots and other detractors in recent years. It disappoints me and many others that the unjustified criticisms in John Hughes’ book come from someone whose career he made – and who is now profiting from making those criticisms, with the apparent collusion of other Celtic fans who facilitated this book. The headlines made in recent weeks promoting this book are based on interviews with Yogi. The papers didn’t manufacture them out of nothing – it’s part of a cynical campaign to sell the book as “controversial” when in fact it’s a straight out attack on his former manager and little else. And of course it wasn’t only Jock. Interestingly, you’ve been silent on the bizarre criticisms made of Sean Fallon in Yogi’s book also designed to damage his reputation. Will you suggest that other Lisbon Lions bear similar grudges against Sean too? There’s little to suggest the views held by John Hughes and Tommy Gemmell of Jock are commonplace among the Lions – it isn’t supported by an assessment of what their team-mates have said before, beyond the view that Jock was a difficult man to work under. These two individuals have gone much further than the others. And now, as you’ve suggested, we await Tommy re-sharpening the knife for yet another autobiography – what has happened in the intervening few years to justify another book from him, besides the desire for more money to be made from the Celtic support? It is sad and as long as people like these attempt to keep denigrating greater men than them for profit, they’ll come in for justified criticism. You suggest that although Cesar was the original spelling of Billy McNeill’s nickname this changed to Caesar over time. Why did the man himself subtitle his autobiography ‘Hail Cesar’ in 2004 then? Again, it is something that you would expect the journalist involved in this book – if not the former Celtic player – to have picked up on. Presumably there was no profit to be found checking the detail in the rush to dent some Celtic reputations. Very Briefly as I can see you are determined in your view. 1) Unjustified criticisms in John’s book are criticisms offered with justification. You may not accept his justification but he does attempt to justify. 2) “The papers didn’t manufacture them out of nothing”. The papers did what they always do to sell their serialisation of a story (they are not worried about sales of the book itself). They did use words and descriptions which Yogi did not have in his book. Therefore, in that sense, they made them up out of nothing. Yogi’s criticisms and his descriptions were much more tempered and measured. The Record did the same with the serialisation of Big Tam’s book too. We, as Celtic fans, should stop falling for that and just review and appreciate the book not the Record’s version of the book. 3) The book is more than a straight out attack on Jock Stein; that is just the small part that you and the Record are choosing to focus upon. 4) Sean Fallon was capable of bullying and intimidating players as was Jock. All of the Lions have testified to this but most still respected them and some still loved them. It does not mean they did not have faults or make mistakes. Jock and Sean are Celtic greats but not plaster saints. 5) I don’t believe that John and Tommy have gone much further than the others or said things that were not well known, at least among their team mates, families and friends. Willie Wallace said very similar things about his transfer but did not get lurid newspaper headlines to make the same impact. I am surprised that you think there are new revelations here. 6) These guys don’t have to “justify” another autobiography and no-one is forced to buy the books. Many have chosen to do so because they love these guys, they want to support them, and they know that they did not earn the money from their playing days that the modern player gets. Some of them have money worries, unfortunately. 7) Cesar/Caesar’s book having one title does not disprove my point. Believe me when I say that I used to believe the same as you that it was a mistake to write it as Caesar rather than Cesar. However, I have had it clarified direct from the horse’s mouth and several Lions have backed this up. Billy was not wrong to use Cesar in 2004 as it was a correct version of his original nickname. Equally, the use of Caesar in both John’s and Tommy’s books is accurate too. No one is wrong here and, as I said originally, I was not seeking to dig you up about being wrong to point it out but you are wrong in sticking to a view that Yogi and Tommy got it wrong on this very small point. There is no hierarchy amongst the Celtic greats. John and Tommy and all the Lions deserve the same respect that Jock and Sean get. If you get the chance to read Tommy’s book, which is also not a hatchet job on anyone but an honest and funny book, please read it with a mind fully open to the fact that Jock was a great manager but he did not get everything right. I, for one, appreciate the more rounded picture we are getting of him from the players and for their insights into these times. I believe the Celtic support are mature enough and that enough time has passed for us to cope with an honest autobiography as opposed to the bland hagiographies we usually get from contemporary football books. Rangers fans will believe what they believe and will throw muck whether they misread the views of the players or believe what their pet press says. We should just continue to laugh at them rather than take this as a serious threat to Jock’s reputation. You were right in one central criticism. Yogi does resent what happened to him. Put yourself in his shoes. A reluctant footballer persuaded to play for his boyhood team. He does really well consistently over his years with the club, despite his reputation for inconsistent performances, and then he is transferred against his will and does not get a choice in where he goes. He is frozen at 7th in our all-time Top Scorers list when he could have reached 4th or 3rd. If you were him, would you have no tangs of regret? No bitterness at your handling and lot? I think I would have. My view is that your heroes cannot be diminished unless you want them to be. P.S. I could tell you a Jock story that would not reflect too well on the man but I won’t. Even though I witnessed it, I still think no less of Jock now than I did then. He is still a great man. “Very briefly”? I’d hate to see any of your longer pieces! Here is my brief response: honest autobiographies from former players are always welcome. The support or the club has nothing to fear from honest and reasonable assessments of the careers of ex-players. Poorly written books which seek to generate sales with crass headlines and unjustified claims undermining the reputations of the men who put the careers of the same players on the path to success deserve all the criticism that comes their way. Supporters are quite right to be suspicious of the (profit) motives involved. Are we going to reach a situation where Tommy Gemmell brings out a new autobiography every few years – even though his football career ended five decades ago – to line his pockets at the expense of fans and the reputations of others? Personally, I don’t think the fans will stomach that and are right to be concerned that other Celtic supporters appear to be facilitating these publications attacking the reputations of Jock Stein, Sean Fallon, Bertie Auld and others. 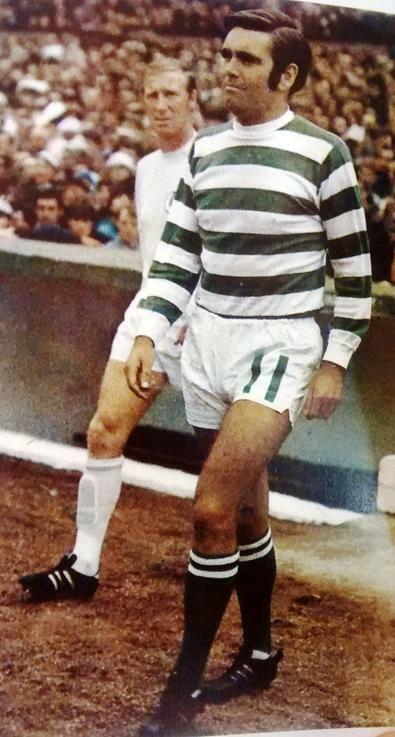 Saw Yogi many times at Celtic games. Obviously he didn’t stop being a Celtic supporter. Btw, i doubt Jock and many other men of that generation ie my father would have been easy to get along with. They didn’t exactly live through the easiest of times. I wouldn’t like to have fell foul of Willie Maley etc. Then again so am i about not winning 10 in a row back in 1975. But then again i never wore the hoops. Yogi Bear and Jock did.